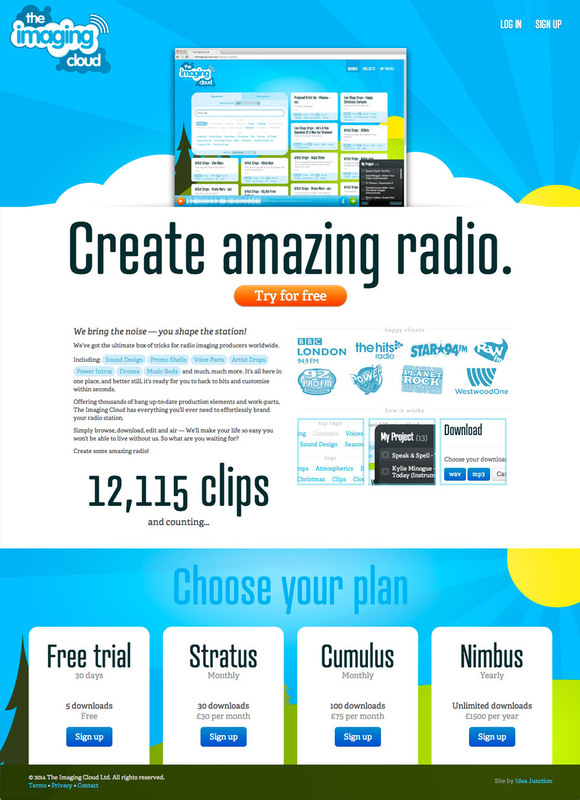 Design and build a digital asset management subscription service for an easily browsable library of world-class audio “imaging” (audio used to build radio station idents and sonic branding). Idea Junction developed a best-of-breed user interface and integrated seamless credit-card payments and subscriptions into the service. Users can browse using an advanced tag-based system to quickly navigate the huge collection of audio clips. The interface reflows dynamically to make the best use of space, whether it’s a widescreen monitor or an iPhone. The uploading interface is drag-and-drop and the system has been designed with straightforward batch editing in mind to simplify what could otherwise become a very laborious process.